Used Audi A3 Review - 2013-present Servicing, MPG, Insurance | What Car? 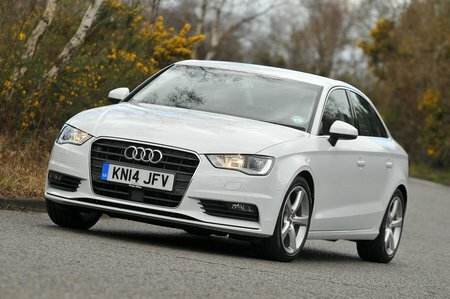 What used Audi A3 saloon will I get for my budget? On the second-hand market, there’s little to choose between the petrol and diesel versions, although there are inevitably more diesel A3s around. Prices start at around £9000 for an early car from 2013-2014 with more than 100,000 miles or possible Category D issues. Move up to £10,000 and you can bag yourself a car with less than 100,000 miles from 2013 or 2014, bought from an independent dealer with a good service history. Those with £12,000 to spend can expect a low-mileage 2014 car from an independent dealer, whereas upping the wedge to between £14,000 and £16,000 should get a 2015 manufacturer-approved used car that’s carrying a fairly nominal mileage. If you’d like a refreshed, facelifted A3 from 2016 onwards, you’ll need to spend upwards of £17,500. A hot S3 with roughly 30,000 miles is around £23,000, while the supercar-baiting RS3 with a full service history starts at £40,000. How much does it cost to run a Audi A3 saloon? 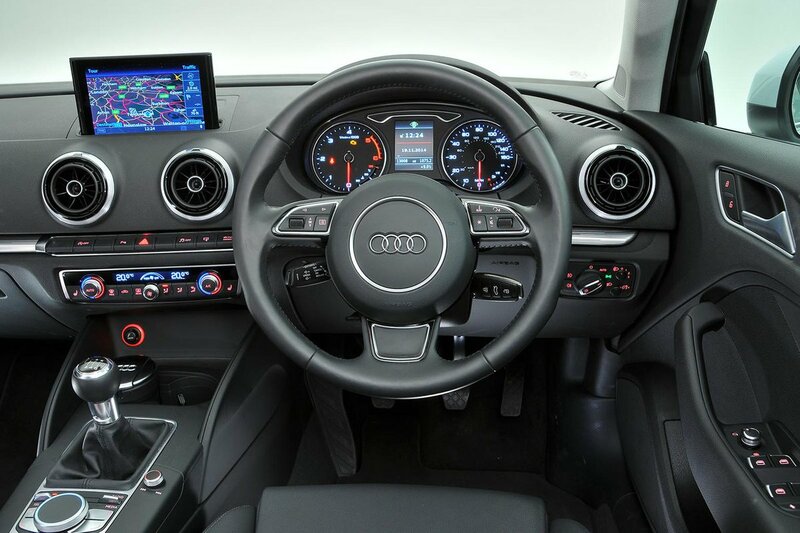 The A3 Saloon comes with a wide variety of petrol and diesel options, including a 148bhp 1.4 TFSI engine that can automatically cut off two of its four cylinders at a cruise to save fuel. With an official average fuel economy figure of 57.6mpg and £30 road tax, it should be cost-effective to run. Diesel variants include the popular 1.6 TDI and 2.0 TDI 150, both of which are surprisingly refined. The 1.6 TDI should be the cheapest version to run, with road tax costs of £20 and a 68.9mpg average in some models. The more powerful 2.0 TDI is a little down on that but, at 58.9mpg and £30 to tax, it’s hardly expensive to run. On the high-performance spectrum, the 296bhp S3 averages 39.8mpg and costs £195 in road tax, while the bonkers 395bhp RS3 can potentially return 34mpg and costs £250 to tax. Like the fuel bills, insurance will be high for these models. Various engines were introduced later, but it was the 2016 facelift that brought a new 1.0-litre three-cylinder petrol unit. This sweet and economical engine is great in town and never feels short of puff, and fuel economy is a highly commendable 61.4mpg and road tax costs £20. It’s worth noting that any A3 registered after 1 April 2017 will be charged under a different taxing system. Most models will be charged a flat-rate yearly fee of £140, but some high-spec S3s and all RS3s will have an additional annual charge of £310 up until the car is six years old, meaning you’ll be paying £450 a year. Servicing is due every two years or 19,000 miles, with Audi main dealers offering a comprehensive service plan for cars aged three years and older. From new, many A3s had an Audi Service Plan that could be used to cover the cost of routine servicing for up to five years or 50,000 miles. The A3 was also covered by a three-year, 60,000-mile warranty from new, with the option to extended it to four or five years.